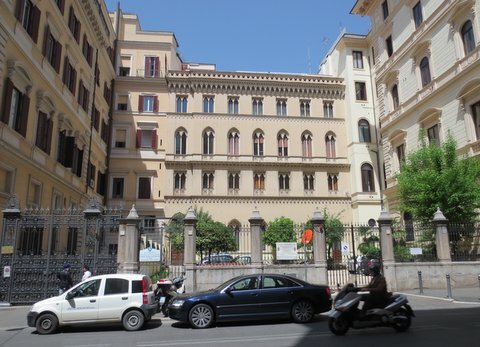 St Andrew's Presbyterian Church of Scotland | Welcome to St Andrews Church of Scotland, Rome! Welcome to St Andrews Church of Scotland, Rome! Easter Service with celebration of the Lords Supper led by Rev Willie Strachan. Morning Service led by Rev Willie Strachan. Morning Service with celebration of the Lords Supper led by Rev Willie Strachan. Pentecost Gift Service led by Rev. Willie Strachan. We are a small, friendly, international congregation of the Church of Scotland, which in 2012 celebrated the 150th anniversary of the arrival of the first Presbyterian minister in the city of Rome. We offer Reformed worship in English at 11.00 am every Sunday and have become a home from home for many nationalities over the years. We are always happy to welcome visitors to Rome as well as residents of this unique city… so please come to the Scots Kirk and meet us!